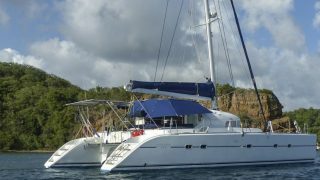 Take a look at this great blue-water cruiser. 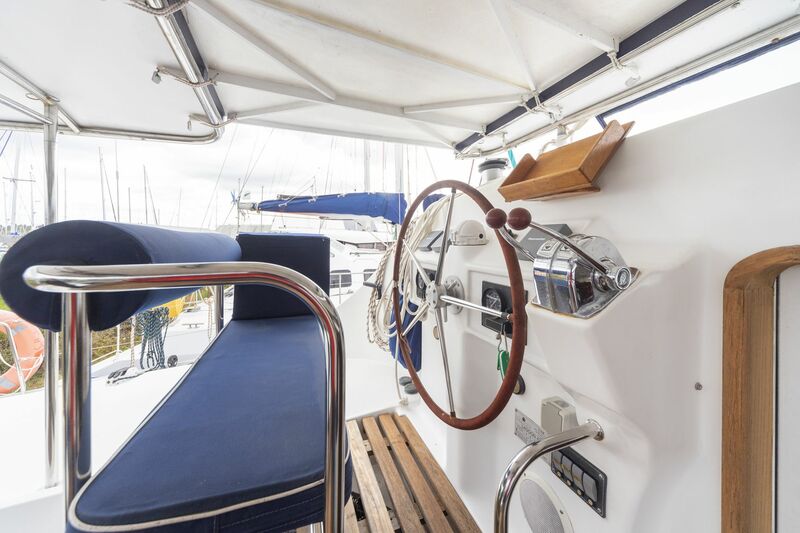 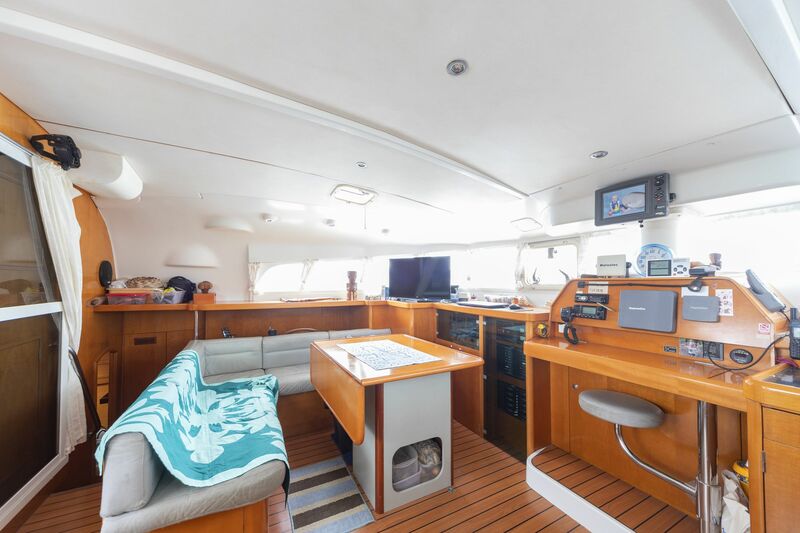 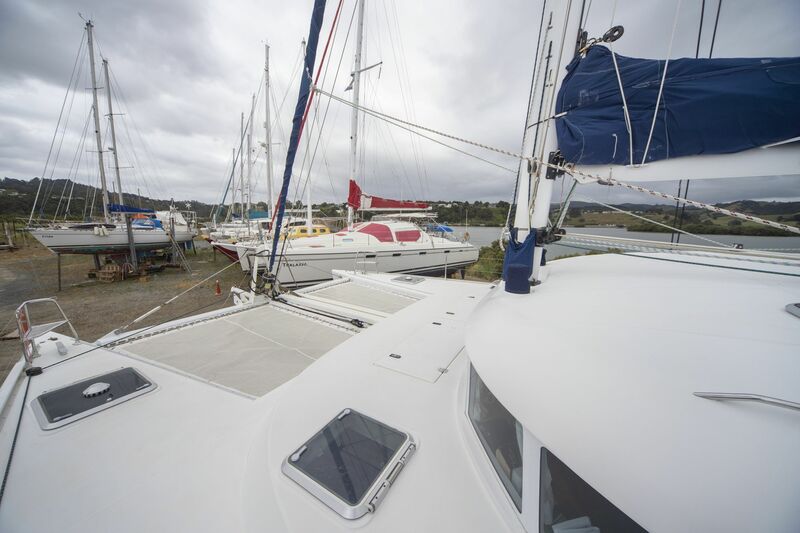 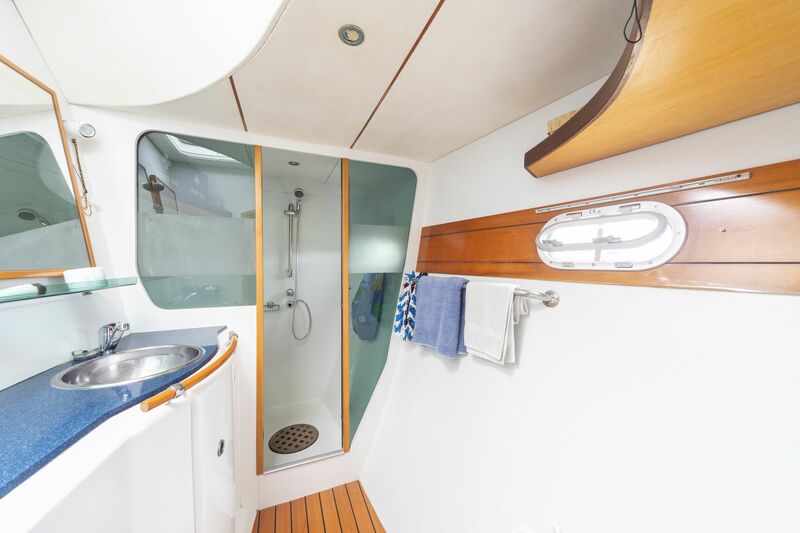 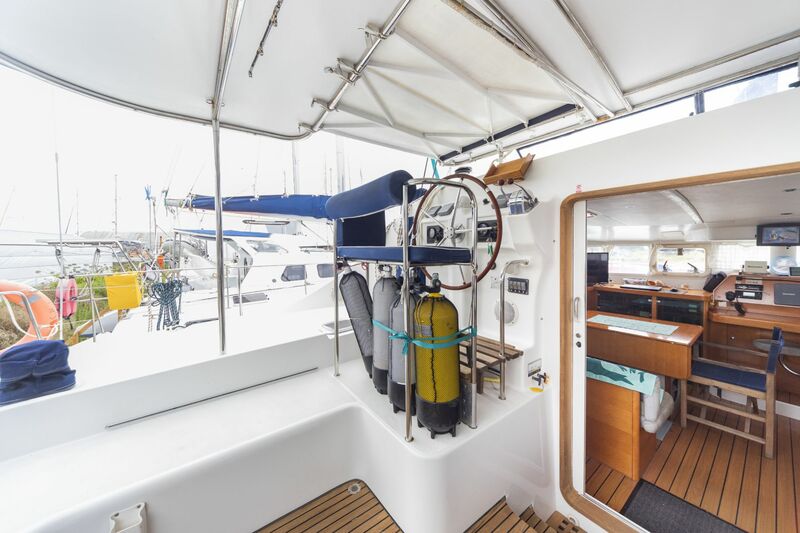 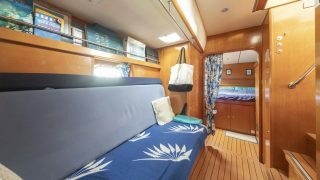 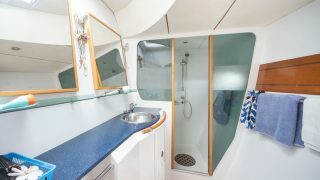 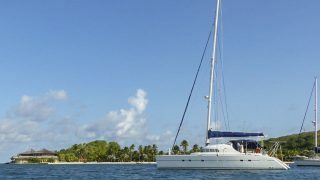 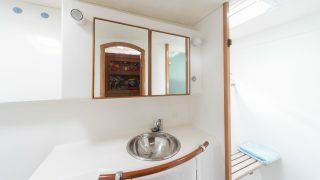 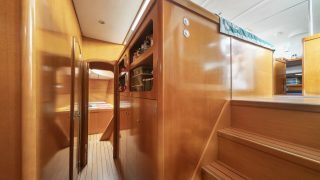 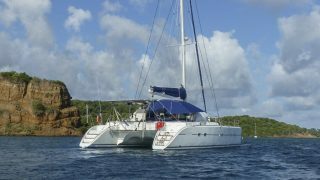 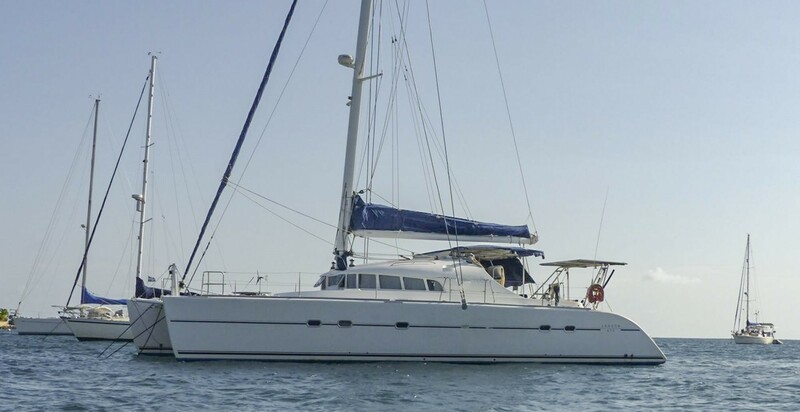 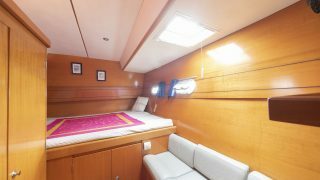 “SDF” is a 2002 Lagoon 470 in the rare three cabin owner’s version, offering a dedicated hull to starboard, guest cabins to port and spacious bathrooms in each hull. 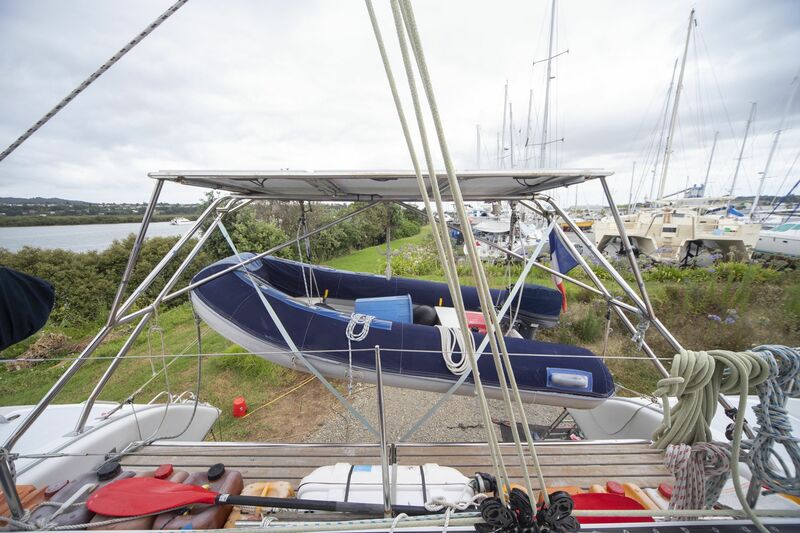 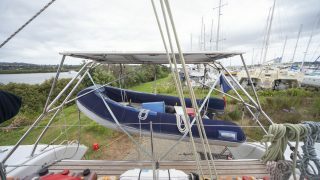 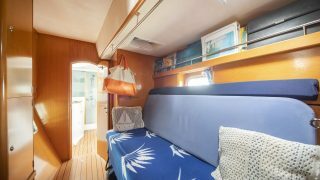 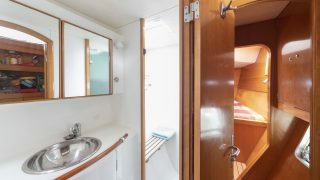 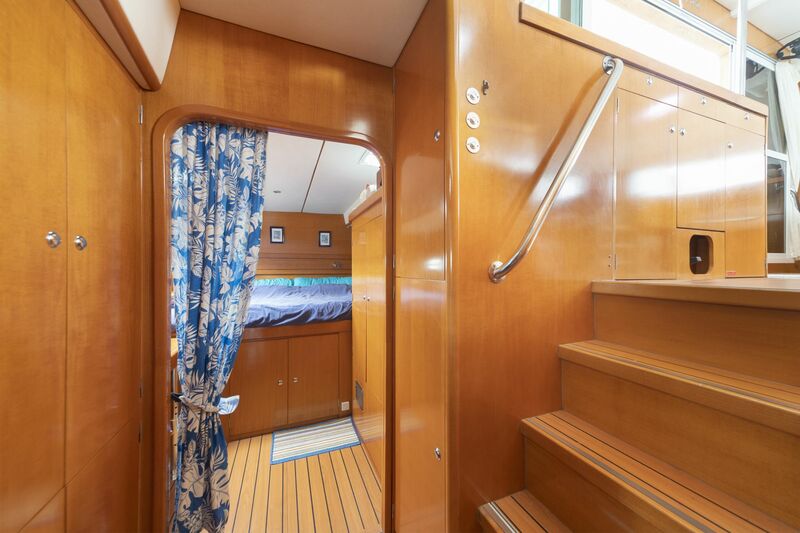 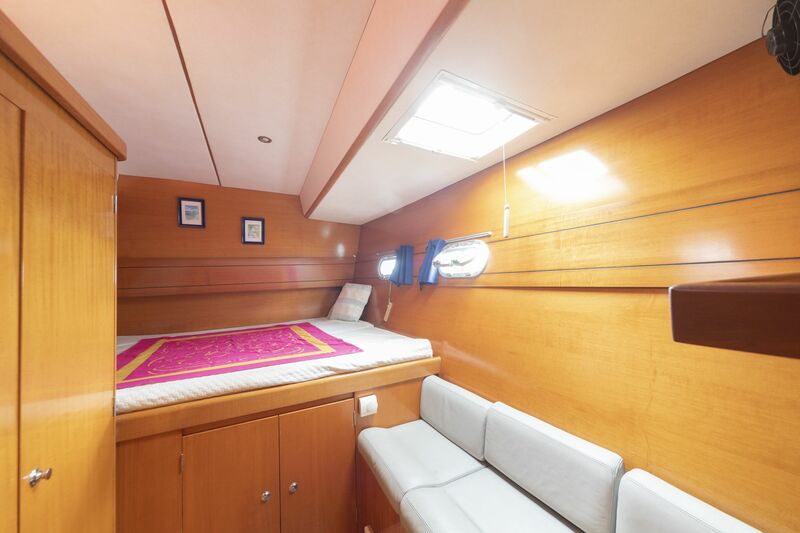 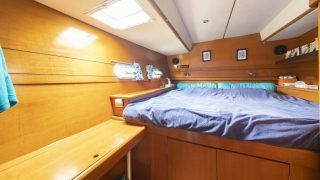 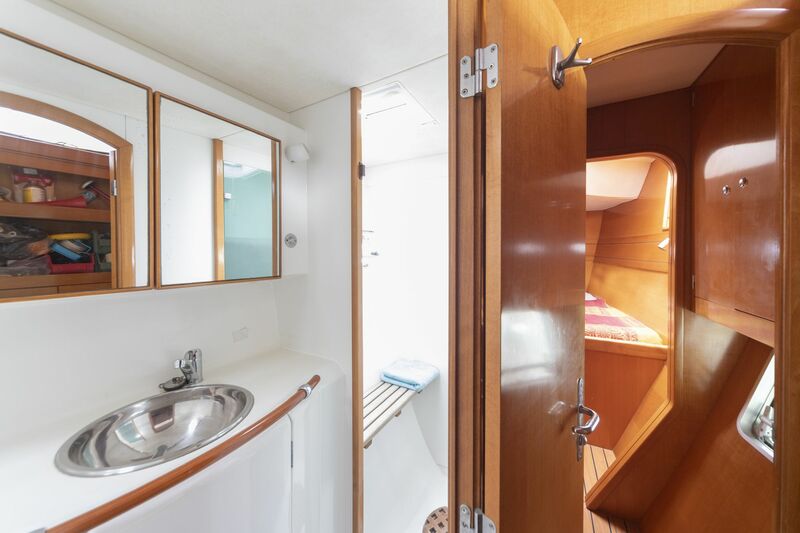 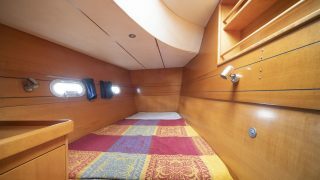 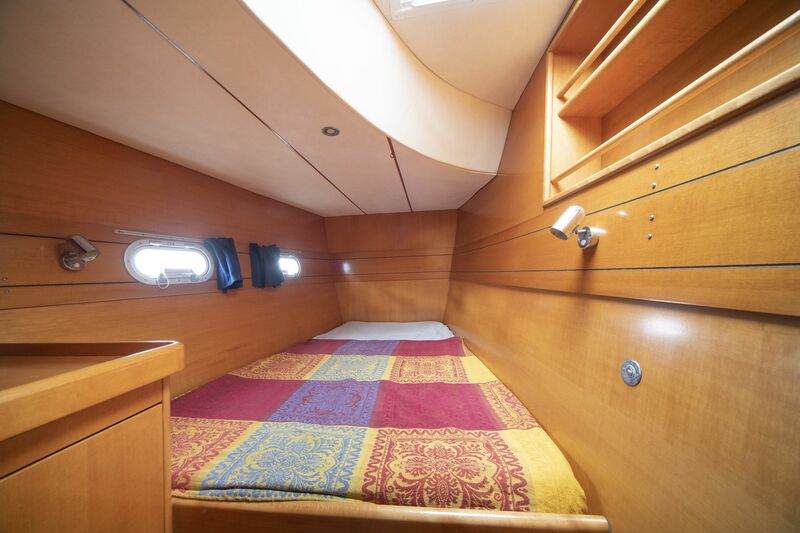 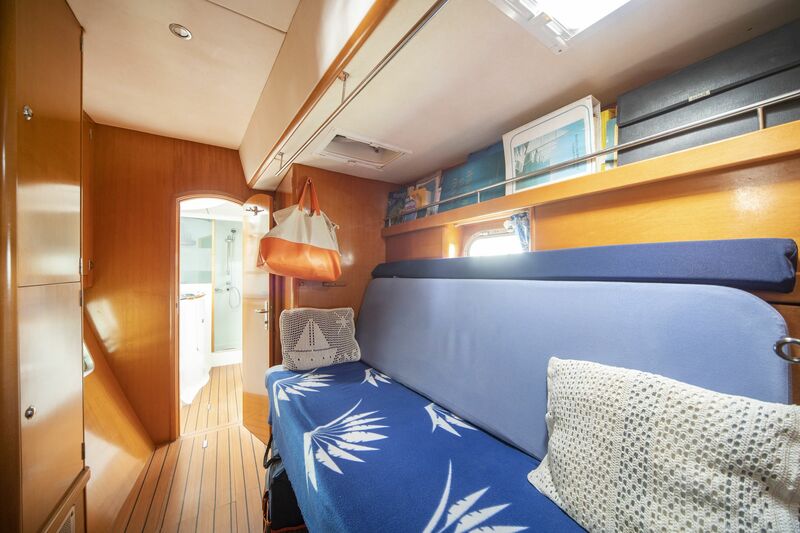 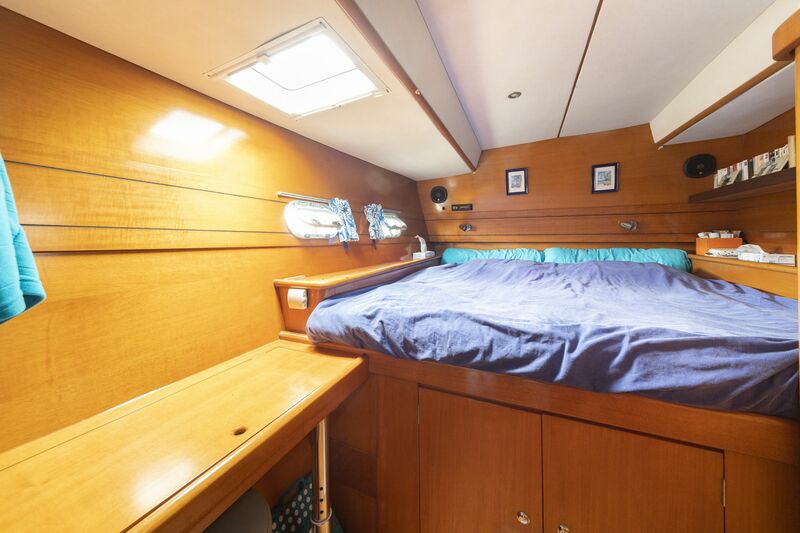 There are also two bunks midships on starboard which are convertible into a practical bench. 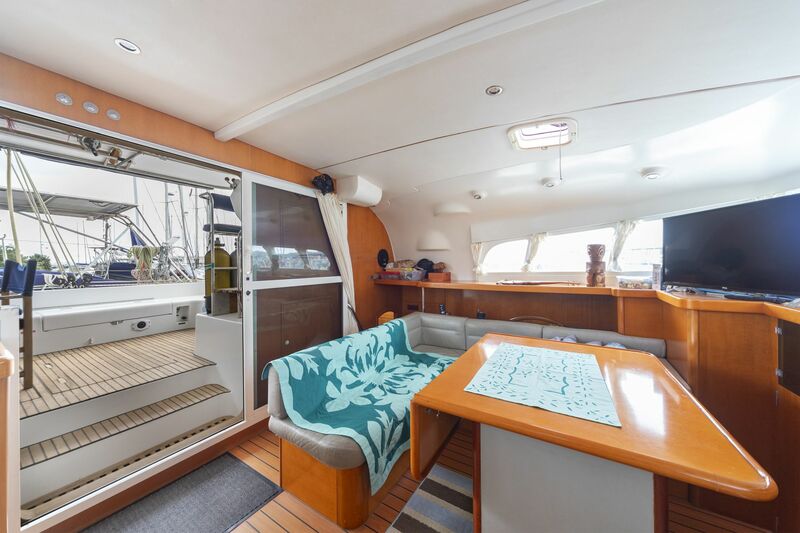 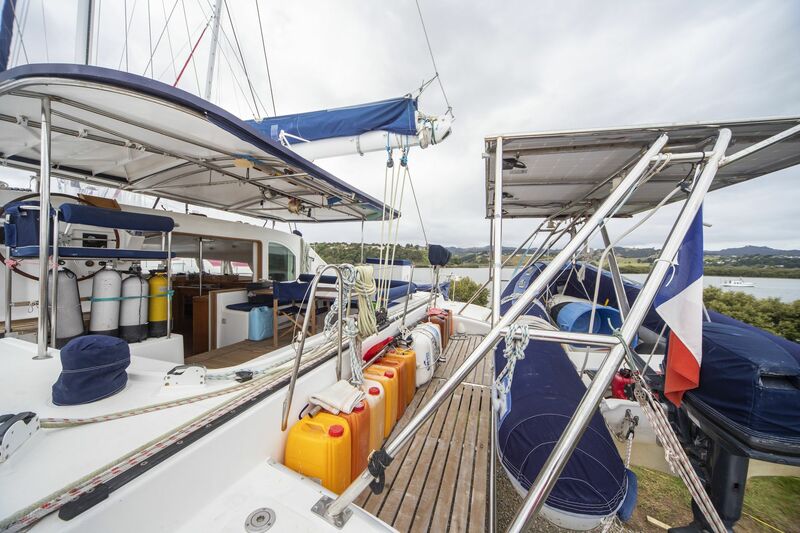 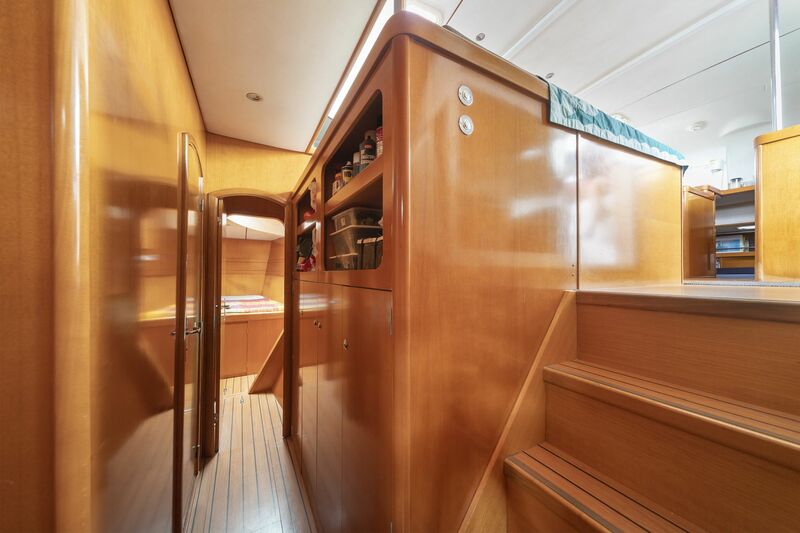 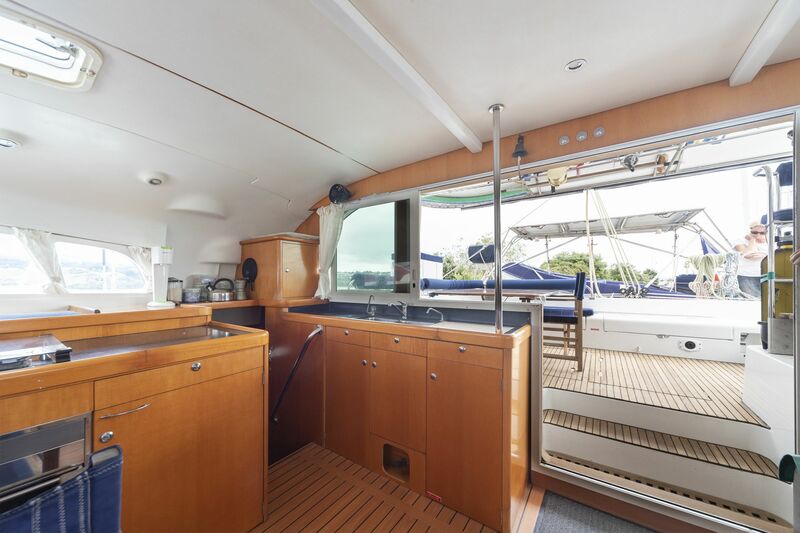 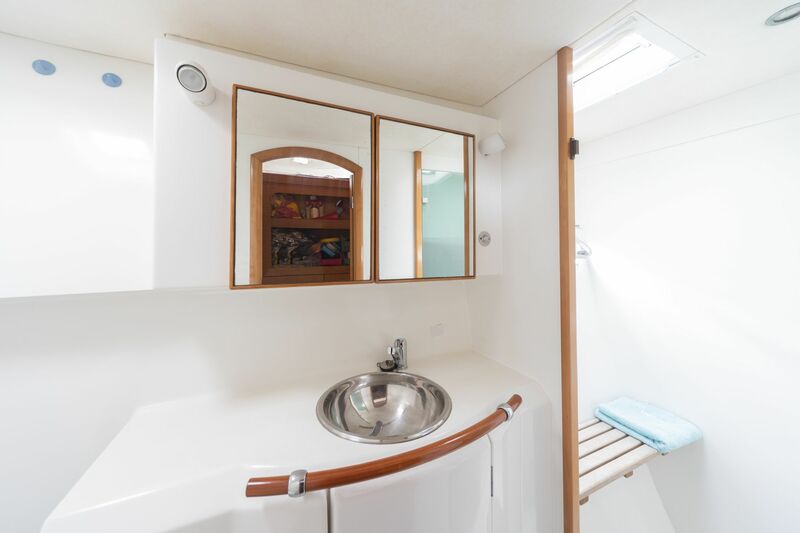 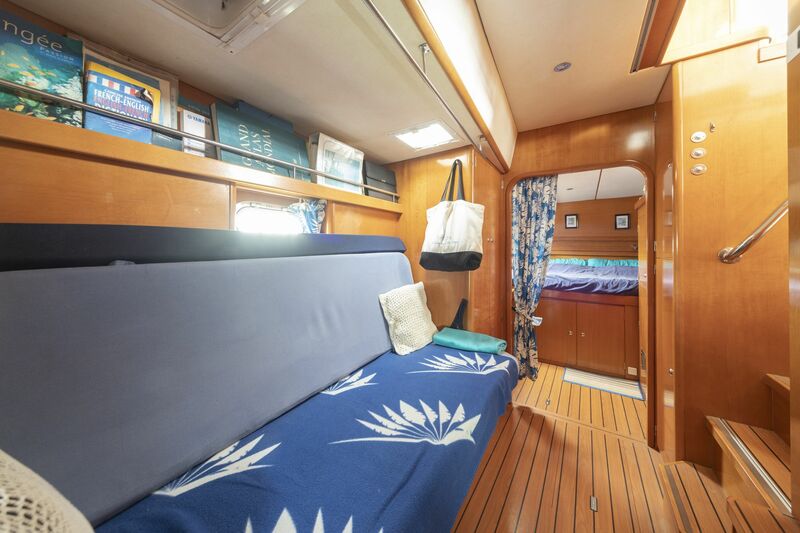 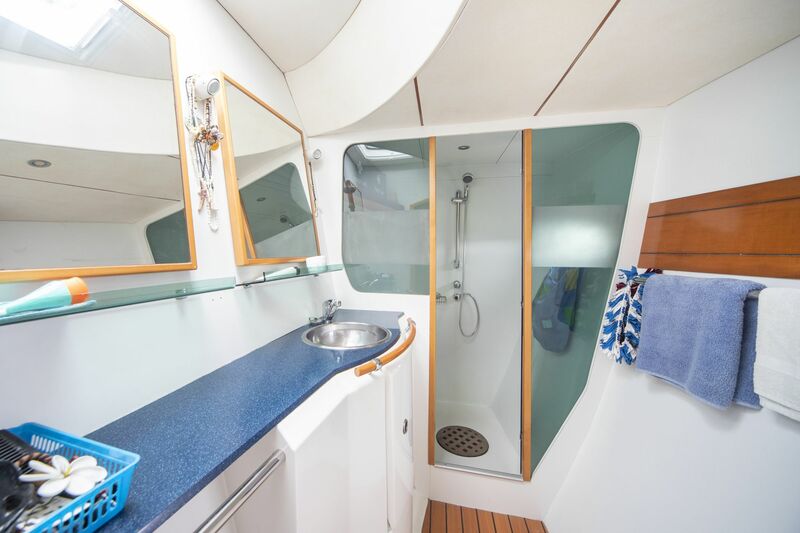 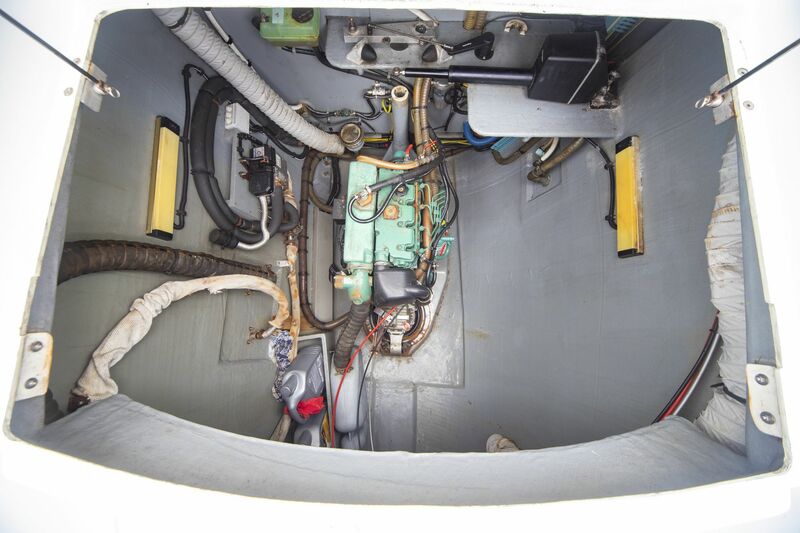 This model goes back to the days where Lagoons featured long slimmer hulls for better performance and improved quality woodwork in the interior for a comfortable liveaboard feeling. 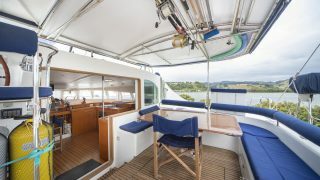 An upgrade to the former 47 model, the L470 shows the now familiar straight roof lines to offer more volume inside, increased headroom and less exposure to the sun. 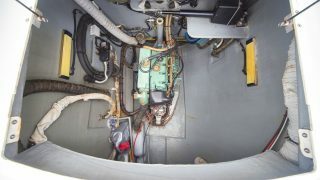 Helm is protected on the roof bulkhead. 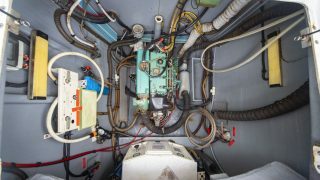 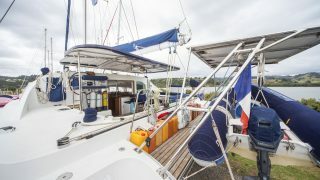 Her current owners bought her in the Caribbean in 2015, where they kept her on the hard for seven years until undergoing a small refit (standing rigging and seacocks replaced, new water maker etc), explaining the low engine hours. 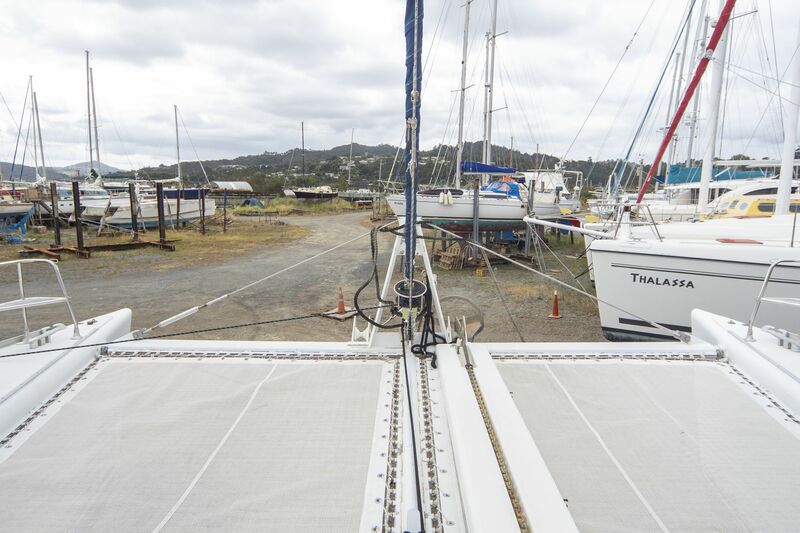 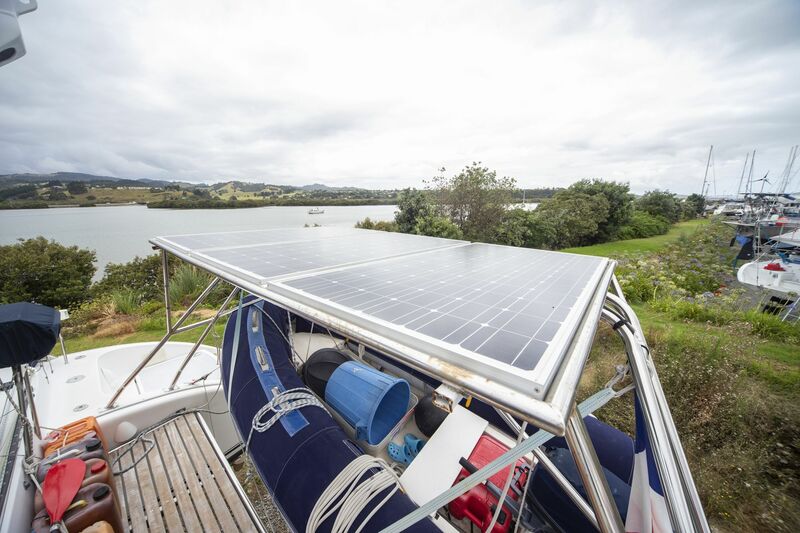 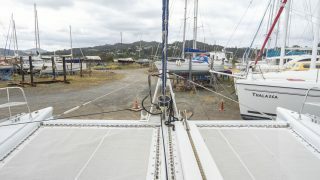 From here they have sailed her to New Zealand where she now lies on the hard in Whangarei. 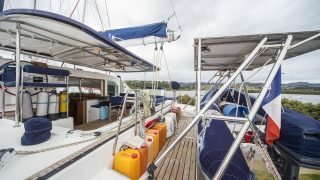 Along the way they have added some practical details to improve the comfort onboard, including a hard top with rain catcher offering more protection from the elements. 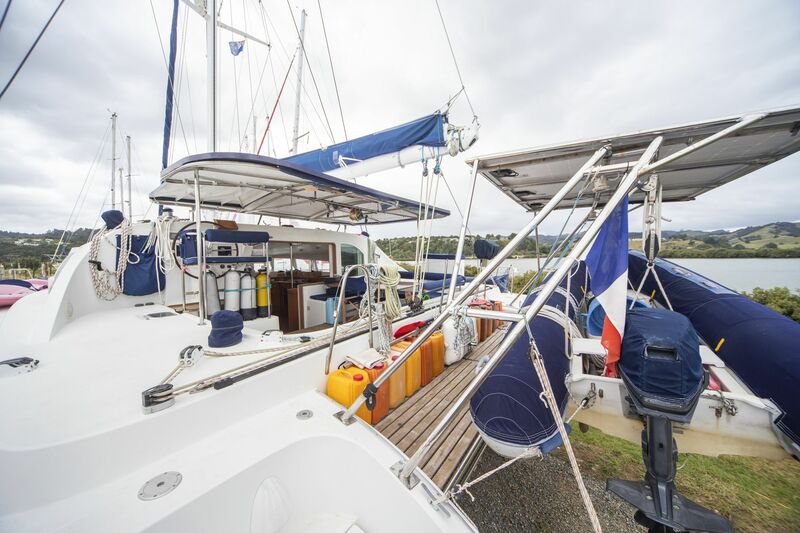 French flagged, she can be imported into New Zealand, Australia or elsewhere without any problems. 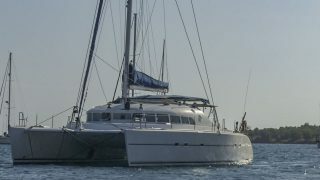 You still have time to enjoy the local summer and then cruise the Pacific. 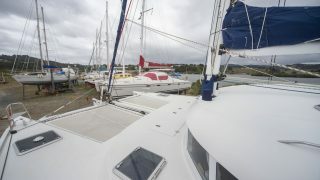 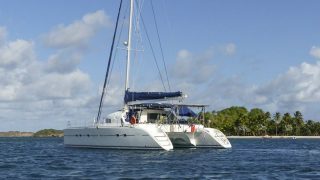 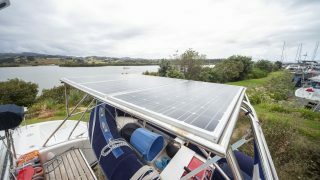 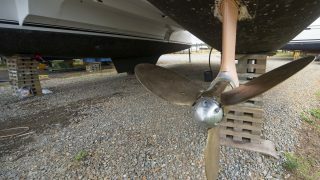 The current owners are very proud of their boat and happy to spend the time on a proper handover once the boat is sold. 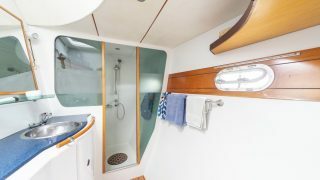 This is priceless for a boat of this calibre. 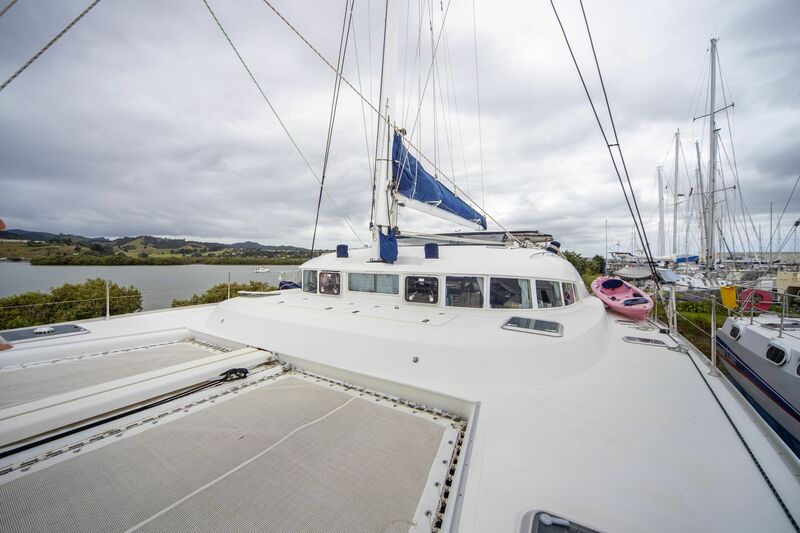 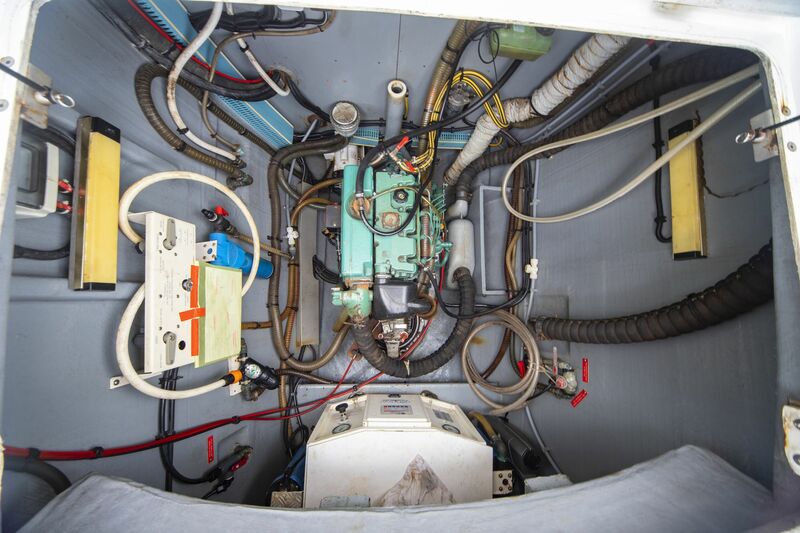 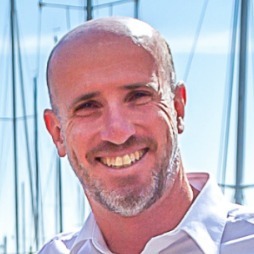 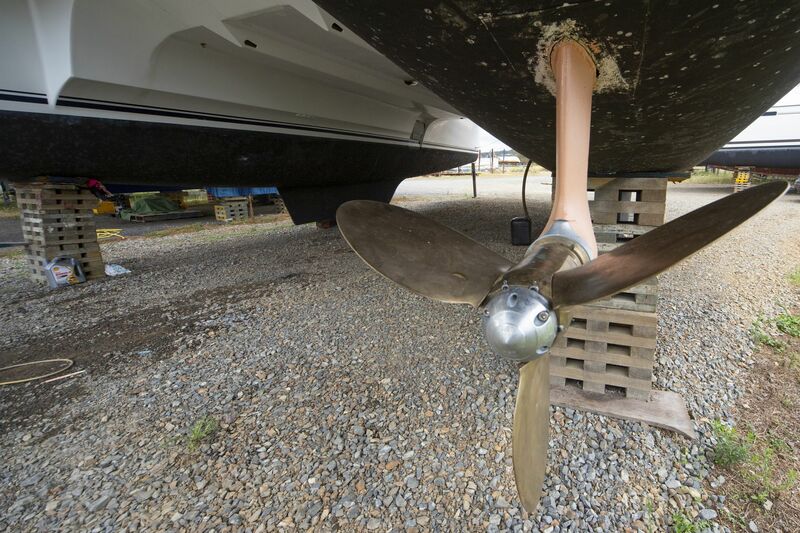 Please talk to the Multihull Solutions team to arrange a viewing. 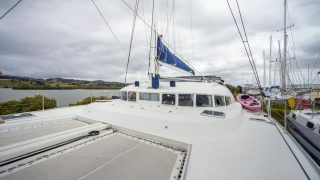 If she is not sold soon her owners will continue their cruising. 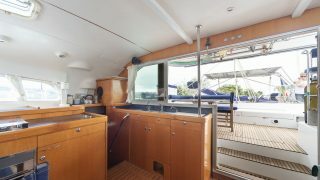 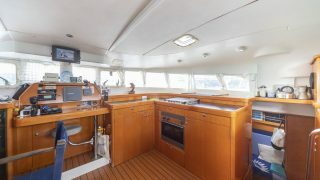 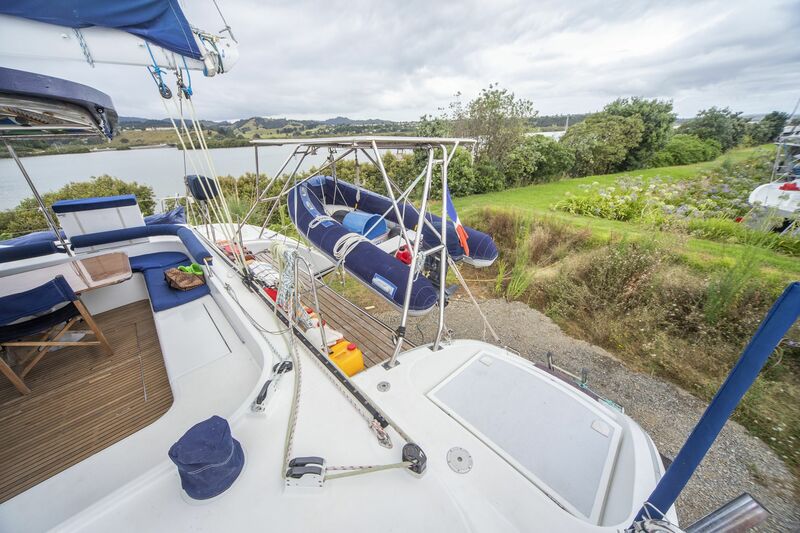 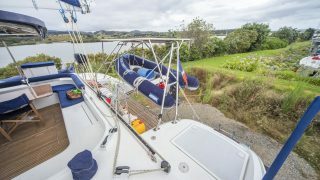 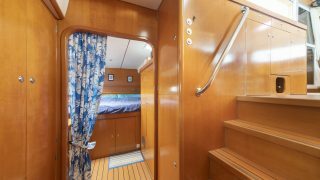 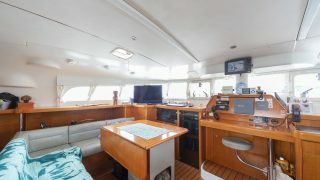 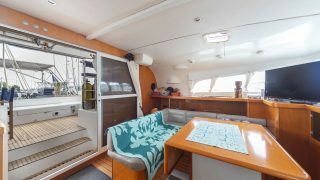 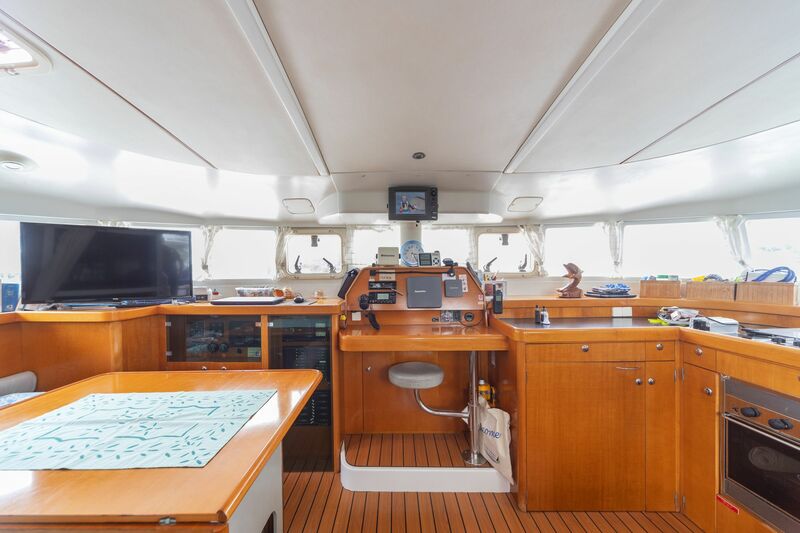 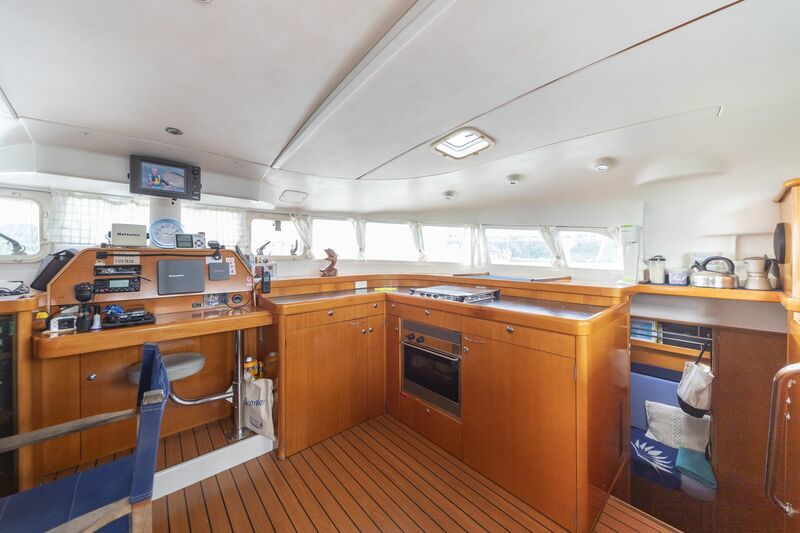 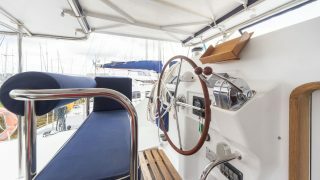 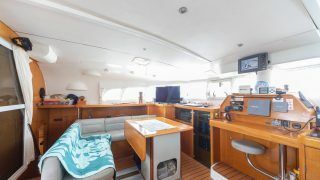 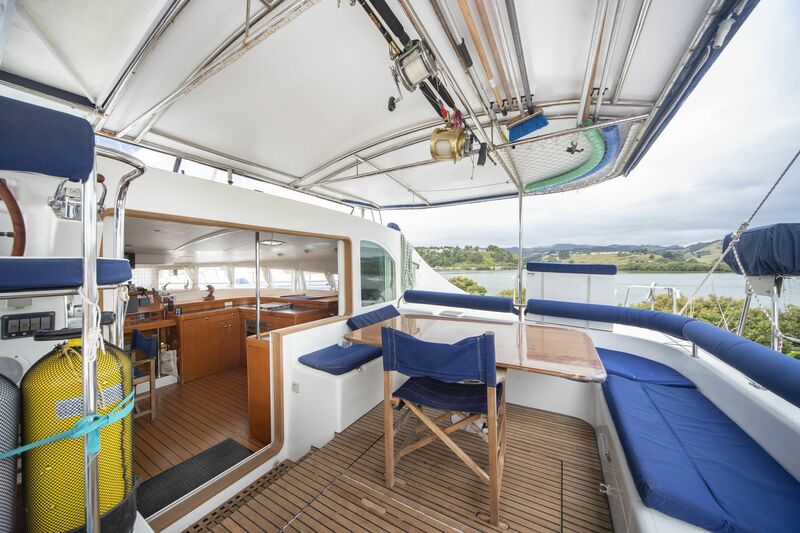 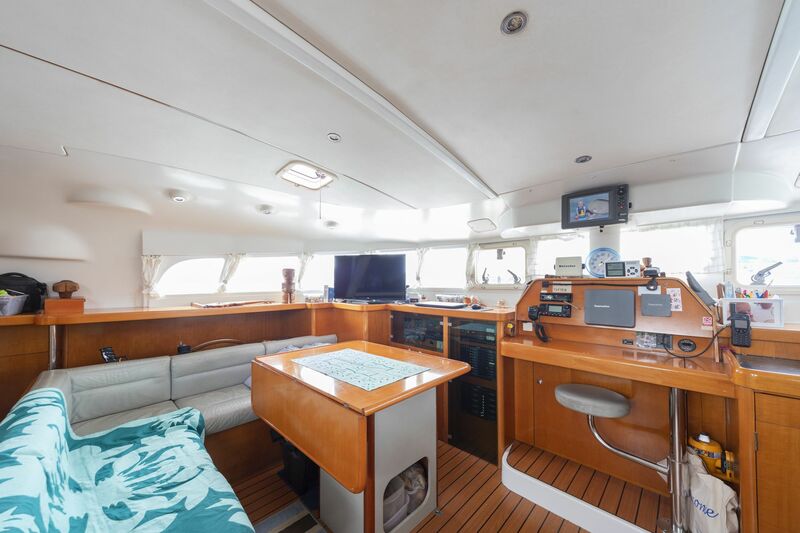 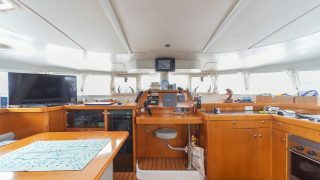 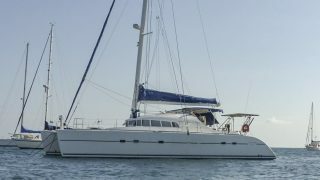 This is a classic model in great condition and with full cruising equipment which will please the savvy buyer.